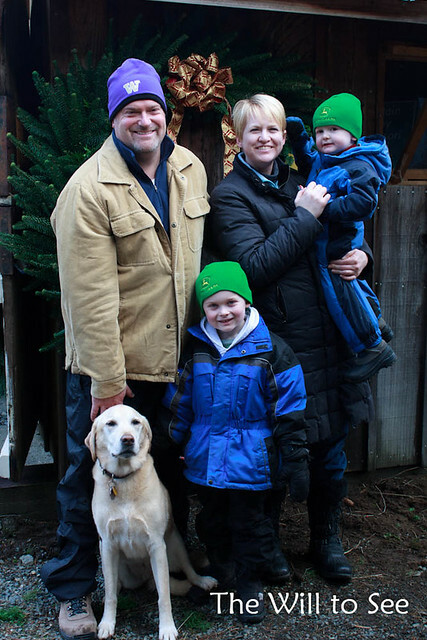 Today we made our annual trek to the Keith and Scott Tree Farm owned by our friends. The boys liked running all over the fields looking for trees until we had narrowed it down to two trees. Then they decided the walking back and forth wasn’t any fun. Of course in true DeNike style we picked the bigger of the two trees, even though we know we should pick the more narrow one. Oh, well. It is a beautiful tree and I need to get started putting lights on all 11 feet of it.